It was one of the biggest beer events of the year — so of course Rodger Davis wore shorts and flip-flops. So goes the craft-brew uniform of one of the industry's veteran statesmen: casual, unconcerned, classic. The occasion was Faction Brewing Co.'s third-annual Ales for ALS festival, a benefit for an ALS nonprofit that brings together some of the state's finest beer-makers for a day of hoppy brews and great times. 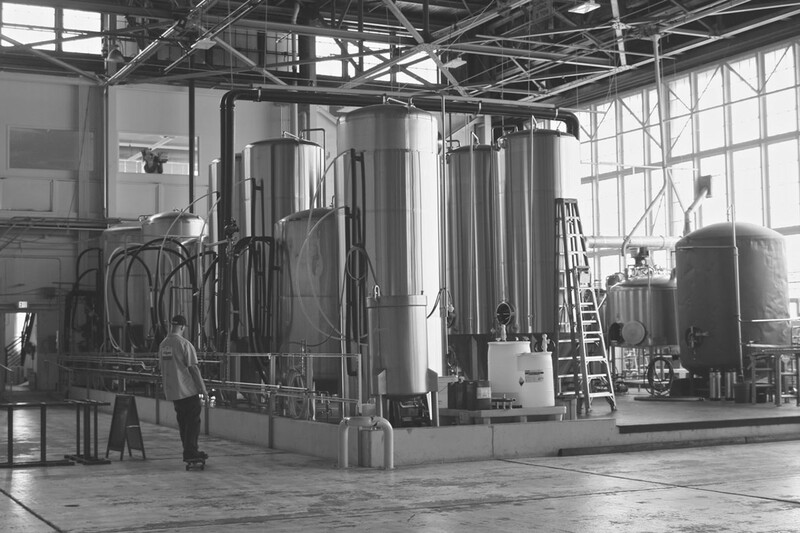 Faction's headquarters, at the west end of the old Alameda naval base, is perhaps best known for its stunning panorama view of San Francisco, which you can absorb from the brewery's two expansive outdoor patios. But what most people don't realize is that Davis, who opened Faction in 2013 in a giant airplane hangar after time at Triple Rock Brewery in Berkeley, is the driving force. 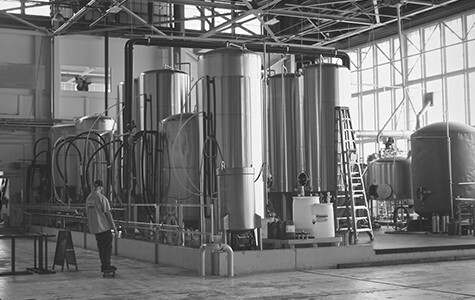 And he's not only behind the brewery's picturesque location and stellar beers. He's also a sort of statesman in the East Bay beer community, a no-nonsense kind of guy who's collaborated and worked with so many. But enough of all that feel-good community-building jabber. What's also remarkable about Faction is its exceptional beers. You won't find Faction brew in bottles at the local market, but visit the island taproom and indulge yourself in what is possibly the region's biggest selection of hoppy brew, from the staple Faction house pale ale to experimental two-hop brews, and even a special Alameda-only IPA. These brews aren't trendy. They are not Vermont-inspired, hazy, and juicy brews, or high-alcohol hop bombs that beer nerds go stupid about on online forums. They're just classic, modest IPAs and pales — plus some darker ales and a killer pilsner for good measure — brewed in the West Coast tradition: dry, piney, gently bitter, and flawless. 2501 Monarch St., Alameda, FactionBrewing.com.